Plot: Three groomsmen lose their charge on during drunken misadventures in Las Vegas. They find themselves retracing their steps in hopes of finding the missing groom-to-be. 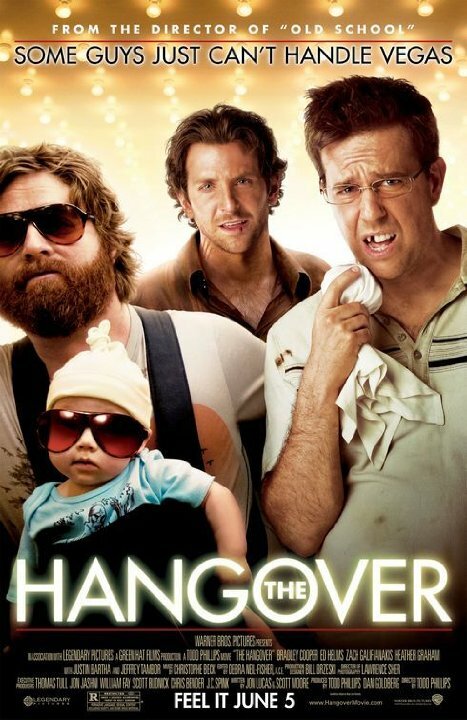 okay the new hangover part 3 is coming out soon so let's talk about the first and the second one.the hangover.this was one of the best comedy movie of 2009 I mean 2009 was a bad year for movie's but this movie just made us forget the bad movie's that we got that year. A good wacky comedy...... some funny moments in it !! the first movie i ever saw Zach Galif in was Due Date though, which was much funnier. The God of all Vegas movies in my opinion. This movie is absolutely hilarious and fun. The fact that 3 relatively small-named actors came together and has great chemistry made this movie all the better. An epic adventure in Vegas tale that has hilarity at every turn while also unraveling the crazy things that happened the night before. This is a must-see before anybody goes to Vegas. One of those movies where I really wished they hadn't made a second one. Now I hear there is going to be a third.... Gag. One of the funniest movies I have ever seen! No posts have been made on this movie yet. Be the first to start talking about The Hangover!